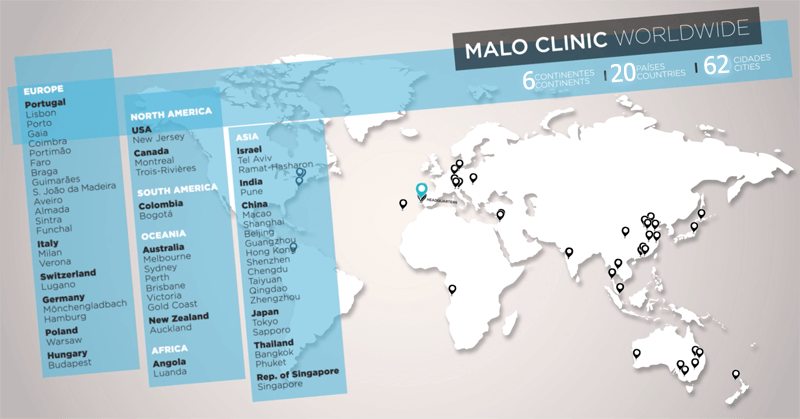 MALO CLINIC IPGP (INTERNATIONAL PATIENT GURANATEE) FOR DENTAL IMPLANTS AND DENTAL IMPLANT RELATED PROSTHESIS. As a patient of Bangkok Smile MALO CLINIC, you now have the option to purchase an International Guarantee coverage for an extra peace of mind. This guarantee is covers all minor repairs including examination and x-rays fees and is available at a local MALO CLINIC present in 62 cities around the world. All patients who have received a dental implant or a related dental implant treatment at any of Bangkok Smile MALO CLINIC locations in Thailand. What dental procedures are covered under the program? How long is the IPGP Warranty Period? The IPGP warranty period is a parallel program to Bangkok Smile MALO CLINIC normal warranty period. What about other dental procedures other than dental implants? The IPGP offered through Bangkok Smile MALO CLINIC is specifically designed for dental implant patients. However, non-dental implant patients can benefit from knowing that they can access high quality MALO CLINIC practitioners around the globe should they face a dental problem. What is the list of all of the locations where I can access a MALO CLINIC? How much does the IPGP Cost? The cost of International Optional Warranty is 15,000 THB. The fee is payable at the time of your initial appointment is 15,000.00 THB and is not transferable. The cost of travel to and from a local MALO CLINIC or any other incidental charges are excluded. A customer service representative will search your records and determine your eligibility and will find a local authorized MALO CLINIC nearest to you. Your treatment information will then be transmitted to the local center along with your warranty information and an appointment will be coordinated within the local MALO CLINIC. You will visit your designated MALO CLINIC and the local dentist will determine the nature of your problem and will present a solution to our clinic. If the problem is minor and your treatment falls under the normal warranty period, the local MALO CLINIC dentist will treat the problem. If the problem you are experiencing is of a major problem, the local dentist will contact our clinic and discuss the best solution for your treatment.